According to Plato, some time ago there was an island of superior beauty and endless wealth, where a perfect society of virtuous people lived. This place was called Atlantis. That's the spirit, with which D.Atlantis wrist watches, distinctive for their beauty and profusion, are created. 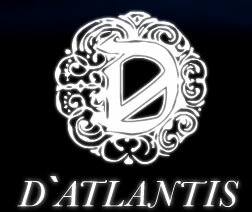 D.Atlantis company's debut took place in June 2006 in Las-Vegas. The company's founder is Al Paravar. The company's active watch market expansion with the help of aggressive marketing and the company's products' perfection started straight after its debut. D.Atlantis watches are represented by 2 series: “Poseidon” and “Cleito” – Atlantis governor's and his wife's names. The siries include both men's and women's wrist watches. D.Atlantis company produces new watches in correspondence with the oldest chronometry standards. D.Atlantis company uses traditional Swiss technologies at their watches production. All D.Atlantis watches are equipped with the ETA Unitas 6497 movements. The main D.Atlantis watches' peculiarity is the skeleton design – an open dial, that allows you to watch the inner movement's operation. The watches are made of stainless steel, 18-carat rose or white gold or platinum. The straps are made of crocodile or alligator leather. Such interchangeable precious stones, as diamonds, sardius, blue, yellow or orange sapphires are used for the bezels' incrustation. Every customer can choose the gems and alter the bezel and this fact makes every D.Atlantis watch model an exclusive and luxurious timepiece. All models are executed solely by hand and are waterproof. According to the company's founder, D.Atlantis watches have no match in their diamonds' quality and craftsmanship. You can buy a D.Atlantis Clieto series watch for the price, starting with $6000 and reaching $468000.